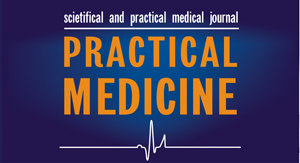 The journal staff of “Practical medicine” at present makes contracts for placement of advertising and information materials in the poblication. We offer you to include the magazine “Practical medicine” to the advertising plan for 2014-2015. Please, pay attention to the following order and form of manuscripts in the magazine “Practical medicine”. The manuscript must contain clear information about the corresponding author of the material: Full Name, academic degree, academic title, position, place of work, postal address (including zip code), telephone, e-mail. list of references (not more than 30 sources). The magazine is focused on practitioners, therefore are welcomed articles in the form of clinical lectures for professionals on relevant topics, literature reviews, reflecting the current state of the diagnosis, prevention and treatment of certain diseases and syndromes. Each article must include a resume in Russian and in English​​, issued on separate pages, the size with of 6-8 lines, at the beginning of which is repeated the full name of authors and material name. At the end of a resume, in a new paragraph one must write 3-5 key words or phrases. All the digital data should have the appropriate units in the SI system; for laboratory parameters normative values are shown in brackets. Using the obsolete or narrowly-specialized terms in the article, the glossary of terms is necessary. Abbreviated words and names, except for common abbreviations of measures, physical and mathematical quantities and terms, are allowed only with the original indication of the full name and the abbreviation after it in parentheses. Application of nonconventional acronyms are not allowed in an article. When describing the drugs, there should be given the International Nonproprietary Name for Pharmaceutical Substances (INN). Trade name, manufacturer and country of origin may be indicated in the case of participation of the manufacturer in the advertising section of the publication. All brand names and dosage must be carefully checked. The text is typed in text editor Word with the font Times, size 12, with 1.5 spacing on A4 paper. Page numbering is at the right bottom. Material is available in a .doc file. Illustrations with captions are located in the file after the text of the article and the list of references and, except for the tables, are designated by the word “picture”. Tables, graphs and diagrams are made in the Word editor, on the axes are specified the units of measurement. The on-line versions of images, photographs and X-ray patterns are presented in .jpeg with the resolution of at least 300 dpi and width of the object not less than 100 mm. List of References for the article is applied in accordance with the citation of sources. 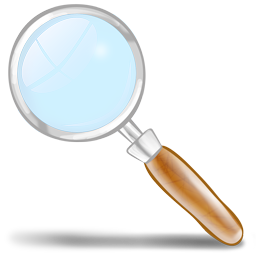 Bibliographic references are given in brackets in strict accordance with the list of references (not more than 30 sources). The authors remain fully responsible for the accuracy of the data included in the list of references. In the bibliography should be no references to other people’s unpublished papers, private letters and opinions. The sequence number of reference must match the order of its citation in the text. The text indicates only the sequence number of quoted source. • an article can contain links to abstracts of thesis works, but not to dissertations themselves, because they are manuscripts. The editorial staff is not responsible for the opinions of the authors, accuracy and the results presented in publications, as well as for the content of advertising. 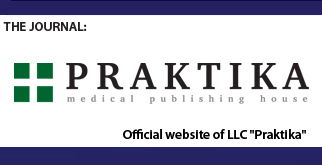 Any reprinting or copying of copyright and promotional materials is possible only with permission of the editorial staff of the magazine “Practical medicine”. All the works sent are subject to scientific review. The editorial staff reserves the right to shorten the published materials and to adaptat them to the rubrics of the magazine. layout is made in any professional design program (*.eps, *.ai, *.cdr, *.tiff). • layout is made in any professional design program (*.eps, *.ai, *.cdr, *.tiff). Sincerely yours, the editorial staff of «Practical medicine».